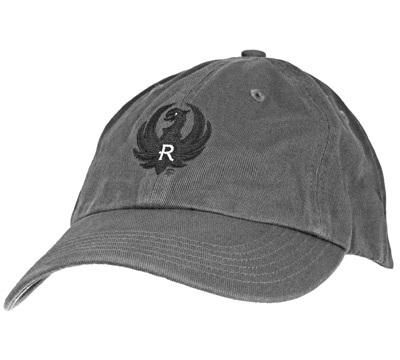 Charcoal Gray, 100% garment washed cotton twill cap with Ruger logo. 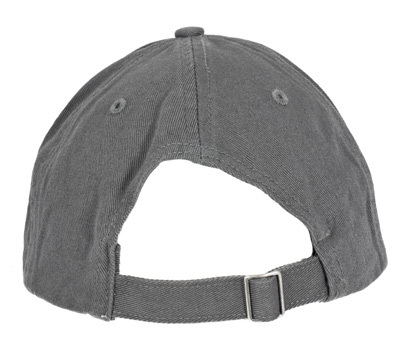 Features include a pre-curved visor, a cotton sweatband, a relaxed unstructured shape, and an adjustable cloth hideaway backstrap. One size fits most. Made by 5Bs Embroidery. Excellent cap!! Very well made, fits a wide variety of sizes. 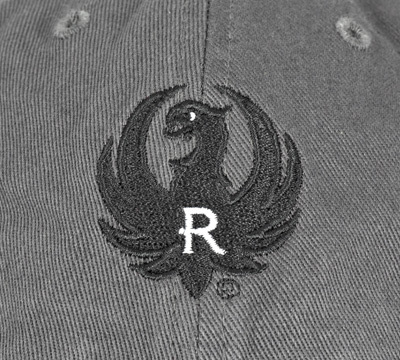 Logo sewn, NOT iron-on, about silver dollar size...just as pictured. I would highly recommend this item, and I may buy more!